Captain Marvel Is a Prequel to Iron Man | Nerd Much? According to the president of Marvel Studios Kevin Feige during the San Diego Comic Con, Captain Marvel is set before the event of the first Iron Man and acts as a prequel. As the first female superhero for Marvel in her very own movie (origin story and all) and being set in the 90s, it will be interesting to see how the film studio end of Marvel handles it. 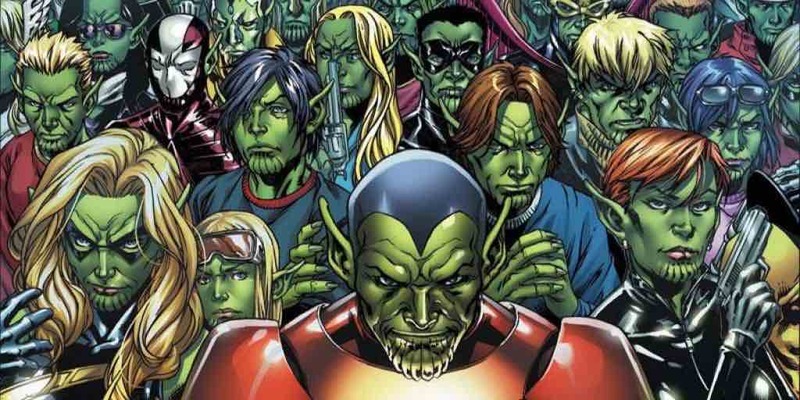 In further news, Feige mentioned that Captain Marvel will feature the aliens known as Skrulls. If you don’t already know, the Skrulls are reoccurring villains that aim to do the usual, invade Earth and take over. They are extraterrestrial shapeshifters, so you might see some similarities to Marvel’s heroes among their ranks as they have imitated almost all of them, including Deadpool, Thor, and Iron Man. 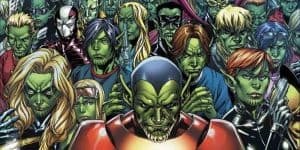 The Skrull are also in the midst of war with another alien race called the Kree, and it seems humans easily become a part of that without meaning to. Captain Marvel has a few origin stories, but the version Feige is going with is Carol Danvers. According to the president of Marvel Studios, Danvers has alien DNA that gives her all the superpowers, including super strength, energy projection, and flight. Captain Marvel will star Brie Larson (Room and Kong: Skull Island) and see the return of Samuel L. Jackson as Nick Fury – without the eyepatch! The scandal! It seems that the 90s was before he lost his left eye, or will we finally see what happened that fateful day? We’ll have to wait until the films release on March 8, 2019. A long ways to go. In addition, the film is directed by Anna Boden and Ryan Fleck (both known for their work on Mississippi Grind and It’s Kind Of A Funny Story). Those responsible for the script include Meg LeFauve (Inside Out and The Good Dinosaur) and Nicole Perlman (Guardians of the Galaxy). Feige is producing the film, along with executive producers Victoria Alonso, Louis D’Esposito and our beloved Stan Lee.